With the Jazz & Blues Festival over again for another year, it’s time to look forward to the KISS Arts Fest. Over the years the festival has become a real community event, and this year the organisers, Tamara Campbell and Dave Evans, are looking to take it to new heights, with the help of Destination NSW funding. Right from its inception, KISS Arts Fest has been about bringing international performers to town, and creating an atmosphere to encourage creativity and fun. There are many ways you can be involved. Here are just some. 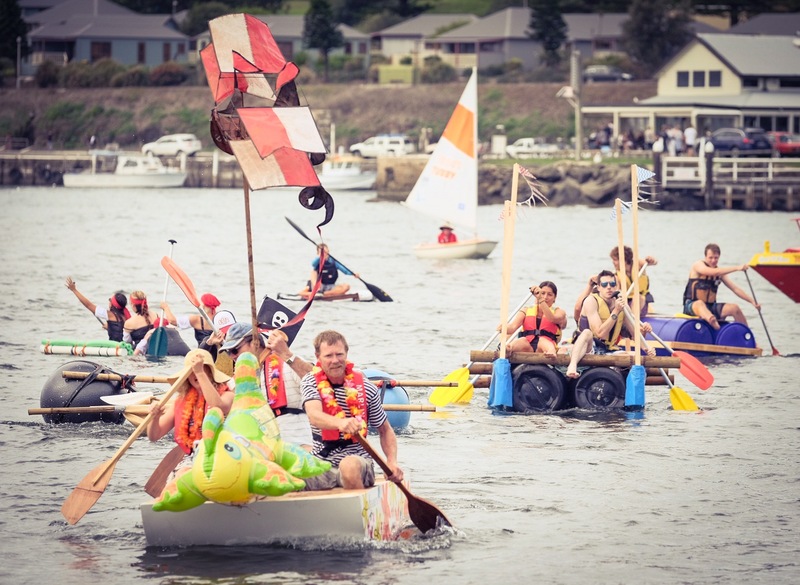 Now in its 4th year, the Raft Race grows in size and inventiveness each year, with entries that have clearly been worked on throughout the year and entries that clearly have not. “The rules are very simple, if it ain’t supposed to float then that’s what you can use,” says Dave. “The prizes are good but the bragging rights are what really counts! 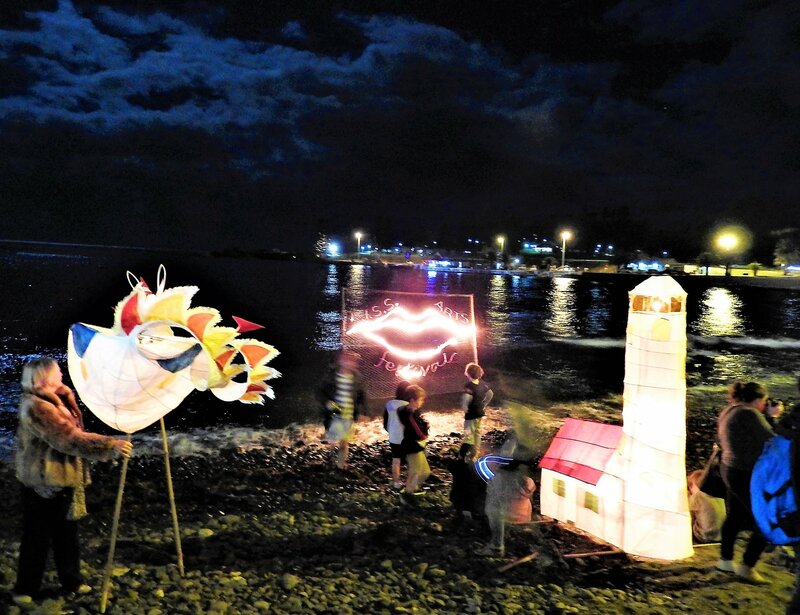 Over the years, the Saturday night Lantern Parade has also developed a critical mass, with the help of expert lantern maker Phil Relf who has guided locals in developing their skills. To continue this tradition, the organisers are inviting local artists and others interested in making some large lanterns to be part of a free lantern making workshop on the Friday 26 April at the festival site. This year the Kiama Kabaret, the opening event of the festival and the only one with a cover charge, is moving to the Pavilion to allow a bigger audience to see the show. “The Kabaret lets the festival performers give a more adult version of their acts,” says Dave. “The line up is beyond doubt the funniest, most impressive and irreverent yet. And a Kaberet just wouldn’t be the same without our own Kiki and Pascal. Once you’ve seen their paper dance you’ll know all about them. This year’s participatory community arts project is based on the five Japanese elements of Earth, Fire, Water, Wind and Void. Four artists will weave together the natural beauty of Kiama, using only recycled paper, to represent their element. “The 5th element of Void – spirit, thought, creativity, energy and inventiveness – will be realised by the coming together of festival attendees to create, communicate, collaborate and celebrate,” says Dave. Details: 26-28 April, Black Beach, Kiama Harbour.